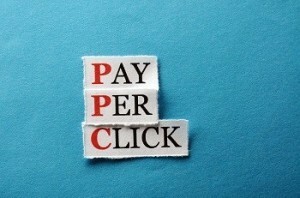 One of the most important factors to concern yourself with when it comes to pay-per-click (PPC) ads is a quality score. You need your score to be high if you want to appear at the top of the search engine results pages without spending your potential earnings on the campaign. If your score is less-than-stellar, here are five things any well-versed PPC consultant would recommend. Google penalizes sites that have slow loading times by lowering their score. If your page is slower than the pre-established threshold, they’ll give you a lower score. Use Google Analytics or Webmaster Tools to evaluate how fast your site is compared to others, and eliminate the bloat. A first-time marketer might be tempted to make a single campaign with hundreds or thousands of keywords and call it a day. A campaign that is too broad makes it impossible to find your niche audience or appeal to everyone that might have an interest in your content. Make multiple smaller campaigns with related but varied keywords. After you make your ad groups you should designate a landing page for each one of them. It might sound tedious, but it helps you to create relevant content which will boost your score. People who click on your link will be more interested in your content and want to see what you have to offer. The key to a high score is relevant content, and one tried-and-true way to create ads is to put the exact words that the user searched for in the ad. It’s known as dynamic keyword insertion and is proven to boost your score and improve click-through rates. It might take some time to figure out how to maximize output with your efforts, but it can pay off over time. Keep the content on your landing pages relevant to the keywords in the ad campaign. Users want to see content that goes together and makes them comfortable to browse. If you’ve made the recommended changes and still aren’t seeing an improvement in your ad campaigns, it might be worth contacting Google. You can experience a drop even if you don’t change your strategy. Sometimes they might be able to give you a boost.